It looks increasingly like a court-appointed special master will have to draw the new map for New York’s congressional districts. Will that plan reflect reality as well as federal law? That test is apparently too tough for the state lawmakers whose duty it is to set the new lines —but who seem more focused on carving out racial and ethnic silos. The big sticking point centers on Rep. Charles Rangel,whose Harlem district has fallen from 47 percent black in 1980 to 26.5 percent in 2010. The state NAACP and other Rangel supporters want a redistricting plan that preserves a “black” district in Harlem by reaching a long tentacle through The Bronx and into Mount Vernon in Westchester. Such an intervention would be appalling from any foreign representative. Coming from a diplomat whose country is disenfranchising countless citizens of Haitian descent, it’s obscene. But it’s far from the only outrage here. 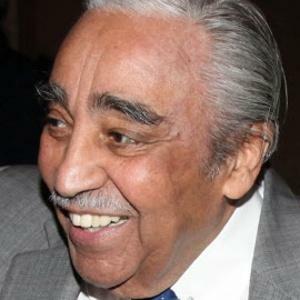 Proponents of the Rangel plan argue that, under the Voting Rights Act, redistricting must preserve a black district — in effect, that the lines must ensure that Rangel’s district is black-held forever. Sorry. The purpose of the Voting Rights Act can’t possibly be to undo the effects of voluntary integration. Indeed, Juan Cartagena of the group LatinoJustice argues that the VRA bars efforts (like the Rangel plan) that would dilute the area’s existing Hispanic plurality. That position makes eminent sense —but it has few backers among state politicians, who fear upsetting Rep. Rangel and the black leadership in this city. There are other maps on the table that attempt to compromise; one preserves New York’s current four black House seats, brings us up to three Hispanic districts and adds an “Asian-influence” one, too. Must we forever divide ourselves by the color of our skins? In seeking to create endless racial spheres of influence, our politicians are undermining our sense of common interests. UPDATE: The Dominican Ambassador to the United States Anibal de Castro says he is the only person able to speak on behalf of the Dominican government. Read his statement here. This entry was posted in African Americans, Elections, Foreign Policy, Government, Public Policy, Voting Rights and tagged Andrew Cuomo, anibal de castro, charles rangel, congrerss, dominican republic, harlem, LATFOR, redistricting, roberto saladin. Bookmark the permalink.